Tonight after school, I took part in one of the two book studies I facilitate each month. As I drove to the school that was hosting, I couldn't help but reflect on all the ways I will miss these book studies. The time to come together with colleagues from different buildings to build personal and professional relationships. Each "host" providing an after-school snack; it adds to the relaxed structure and camaraderie of our time together. The sharing of ideas that takes place during each conversation - thoughtful, collaborative, encouraging, and reflective. The ways we keep student growth and learning at the forefront of our conversations. The honesty in the ways we look at ourselves when thinking about refining our instructional practices. Reading and rereading the assigned pages before the meeting. Searching for the right video clip, blog post, or snippet to complement the focus of the month. Laying out an agenda to help propel our thinking forward. Reflecting on how this professional read has real-life applications in our work. Responding to the reflections on our shared Google doc - our "conversation" outside of our actual face to face time. I will miss these conversations and the collegiality. I plan to savor each book study experience between now and May 25! Since moving to our current home in 1996, my husband has had the clothing that fits his 6'4" frame confined to exactly one quarter of our walk-in closet. Hardly equitable, I know. For the twenty-one years we have lived here, the biggest thing on his home "to-do" wish list has been to have a closet organizing company come out and redo our closet. I could not see the need for it; after all, I owned 3/4 of the closet real estate. I had the space I needed. But when we made the decision to redo our master bathroom, I caved. I realized our closet didn't meet his needs, but that's not why I said go ahead. My decision to go ahead with the closet was purely selfish (once again). If we were going to have the dust and mess of construction with the bathroom, I wanted to have the closet done at the same time. Just get 'er all done. If it made my husband happy, that was great, but for me this closet would be no big deal. In fact, I was pretty sure I would lose territory, but since we're empty nesters, I could just use one of the other closets. I. ABSOLUTLEY. LOVE. OUR. CLOSET. The bathroom was my "pet" project, but by far, my favorite part of the remodel is our closet. I may have less wall space in the closet, but because it is in a more efficient design, everything works. My husband is thrilled, and I'm ecstatic. I finally got rid of every item I hadn't worn in the last 5 years. It fit in an embarrassing amount of trash bags and went to Goodwill, and in some cases, to the garbage. Having to weed out my clothes was truly a lightening experience. I actually put away my clothes in the space they are intended to go. How refreshing it is to not have piles of things on the floor of the closet or stacked on my dresser after laundry day. Every item has a "home". I am a scarf person, and I have 2 dedicated drawers for scarves. I love having "like" clothing together; it feels so organized. I walk into the closet just for the heck of it sometimes because it makes me so happy. And I love how happy my husband is that he got to check this "to do" item off his home list. Girl pulling the Pepsi from the trashcan full of ice and soda pop. Condensation rolling down the sides of the glass bottle. Opening it with a bottle opener. Tilting her head back, and drinking the ice cold Pepsi. AAHHH... That's a bit of heaven on a hot, humid summer day. College friends brewing coffee in their rooms to start their days, or stumbling to the cafeteria to get that first jolt of caffeine they needed after studying or partying all night long. One lone student choosing a different route. Every night, methodically prepping for the first drink of the next day. Styrofoam ice bucket in hand, traipsing down to the ice machine. Filling the bucket with ice, then heading back to the dorm room. Opening the closet, taking out 1 Pepsi can, and depositing it smack-dab in the middle of the bucket to chill in the ice during the night for her dose of morning caffeine. AAHHH.. What a wonderful way to start the day. Where would you like to go for dinner tonight? A question asked often by friends. Anyplace is fine with me... as long as they have Pepsi products. AAHHH.. The simple pleasures of life. Friends going to a movie, and making the prerequisite stop at the snack bar. Ordering a small popcorn, and a medium Coke. Heading to the fountain drink station, merely to fill the cup with ice, and not just some ice; ice all the way to the top of the cup. 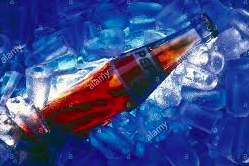 One friend, pulling a Pepsi out of her purse once inside the darkened theater, and pouring it over the ice. AAHHH... Movie popcorn and ice cold Pepsi while watching a great movie. Waitress comes to the table. What can I get you all to drink? Everyone at the table chimes in with their order. One person remains. I'll have a Pepsi with LOTS of ice, please. AAHHH... An ice cold Pepsi with delicious food. 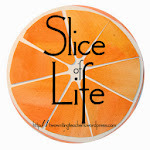 **Author's note: Cathy suggested that I had multiple slices hiding in my post about my cousins yesterday. I spent some time thinking about it, and realized she was right. For today, I focused on my love for that trashcan full of soda pop on ice. I think my love affair with Pepsi began at those reunions. And unlike some, who went with Diet soda when it was available, for better or worse, I've always been a regular Pepsi fan. My absolute favorite way to drink Pepsi is when it is chillingly cold. I think I can trace that back to my reunion days as well. So, there you have it, a few acts in my love story with Pepsi. I savor every sip! Wanda would have been so happy. Wanda is my mom, and she died a little over two years ago. Family meant everything to her, and she worked hard at passing that love of family along to my brother and me. Mom came from a family of eleven brothers and sisters. They didn't have many material things, but they always had each other. The eleven has now been whittled down to three - two sisters and one brother remain, but the memories of the love in our family will stay with us forever. reached out to some cousins via text : We are free this Saturday. Is anyone free to meet us at the Mexican restaurant? **Author's note: When I began writing today, I had one direction, and then this picture and my emotions took me somewhere else. Thanks for stopping here today to read my journey. In addition to savoring these family memories, I realized that my cousins are another writing territory for me; I've written about them before. It's fun to read pieces I've written on the same topic, but approached in different ways. This March, I plan to connect as many posts as possible to my #OLW for the year - SAVOR. We got married in 1985, and the dinner dishes we received as wedding presents were a beautiful blue Pfaltzgraf pattern. I loved those dishes! I still loved the Pfaltzgraf dishes in 1995. By 2005, I was getting a bit tired of the pattern, but didn't have the energy to do anything about it, except just look at what was available when I was browsing in stores. Buying an entire new set of dishes with matching serving platters seemed like a lot of unnecessary money, especially as we were getting ready to start paying for college tuition. In 2010, I was ready to get rid of the Pfaltzgraf. After all, these dishes had served us well for 25 years. Certainly, it would be ok to move on. During a trip to Ikea, I found some plates that might work, and I bought a set of four. I didn't love them, but we liked the color, we liked their shape, and they were easy to take care of. We were empty nesters so four sets of dishes seemed like enough for the two of us. Life was good for awhile. 2014 - I was at Macy's buying my niece's wedding shower gift, and she had registered for a lovely Noritake pattern. I thought to myself - this is it! This is the pattern I want for our daily dishes. So I bought a set of four for yet another test run. The first week we had them, I broke a bowl, and cracked a dinner plate; the sales lady had told me they were almost impossible to break. I didn't have the heart to replace the bowl and the plate just to break them again, so I kept my mismatched Ikea and Noritake dish sets, and worked with that. It's now 2017. We just purchased a new kitchen table, and instead of settling for mismatched dishes anymore, I have been actively looking for the "right" dish set to go with this new table. Today, I found myself again buying a wedding shower gift; this time for a friend's son and his fiance at Crate and Barrel. I've always loved that store, and can spend hours just browsing, but today I did a little more than that. I brought home another pattern for a test drive. I like every single thing about these plates so far. Fingers crossed! Stay tuned... Hopefully, by next Saturday, the dish saga will reach its conclusion: we will love using the plates this week, and I will head back to Crate and Barrel to purchase an entire set of dishes and platters. And when that happens, I plan to savor every moment of using those dishes since it's taken me 7 years to figure it out! "Karen, it's freezing out! Why in the world are you leaving the house in flip-flops?!! And isn't it snowing?!!" My husband's words penetrated my consciousness, but I shrugged them off. I was on a spring mission. Thursday night was my annual spring pedicure; the pedicure that occurs after my feet have been ignored for quite some time throughout the winter, and now need a lot of TLC (and a fresh coat of paint on the toes). So off I went outside in the snow no matter what my husband thought. As I drove to the salon, the snow squalls that had been occurring, increased in intensity. When I walked from my car to the front doors of the salon, my head and coat (and toes and feet) were covered in snow. I entered at the same time as a gentleman, and he took one look at my flip-flop clad, snow-covered feet, and gave me a glance that clearly said, "You are crazy, lady!" His disdainful look penetrated my consciousness, but I shrugged it off. I was on a spring mission. I walked upstairs, and that is where the magic happened. Feet immersed in a very warm whirlpool bath. Back massaged from top to bottom by the comfy chair. Feet and legs massaged for what seemed like hours. Toenails painted a pretty pink color. I savored every heavenly moment. I am also joining Ruth and the #Celebratelu group today as I celebrate spring and an amazing pedicure. I dislike phone calls. I'm not a great multi-tasker, so when I get a phone call, I have to sit down in one place and be very focused on the person on the other end of the phone and their words. As my cell phone rang this time, I looked at my screen and saw that it was my friend, Lisa. She never calls me. I quickly sat down on the couch and answered. "What's up?! Is everything ok?!" were the first words out of my mouth. "Yes, everything is fine. We just hadn't talked for awhile, so I wanted to touch base." An hour later, we wrapped up our conversation with our typical closing ritual. "Talk to you soon. Love you." I had spent an hour sitting on my couch, doing nothing at all except talking to Lisa, and it was the best hour of my day. An hour's worth of sitting on the couch. An hour's worth of conversation and friendship. But I love this friend! **Author's note - You know how sometimes things dovetail in unexpected ways? That's how I felt about this moment. That same day, Ann Marie Corgill had shared a link written by a friend of hers titled "Would You Rather Be Liked Online or Loved in Person?" It's a great read and thought-provoking. I love my online friends and connectedness, but the in-person, or in this case, telephone call with a dear friend, means so much!! "No, it's beautiful out, and I don't want to participate today." "I'm telling you, you will regret not going in. This is going to be a fantastic day of learning." "I'm tired, and a little bit cranky, and don't feel like I will be invested in a productive day. I think I should just head home." A car horn interrupted the warring voices in my head, as I sat in the parking lot trying to decide whether or not I was really up for the Dublin Literacy conference this past Saturday. The horn interruption came from two of my coaching colleagues, Brooke and Heather. I looked up and saw their smiling faces drive by, and park down the row from me - I realized seeing those faces was a sign of which voice to listen. As the day progressed, I reflected on how much these colleagues have meant to me, both personally and professionally, these past three years I have been an intermediate literacy coach. Three years ago... I had no more than a surface knowledge of their names; I truly didn't know either of these individuals at all. How far we have come since then! And how fortunate I am because of it! Three years ago... one of those colleagues was a 3rd grade teacher in a building I was assigned. Every coaching cycle I came to her building, we engaged in reflective and collegial conversations about how to grow readers and writers. I know I learned from our conversations and collaborative work together, and hopefully, she learned a little as well. 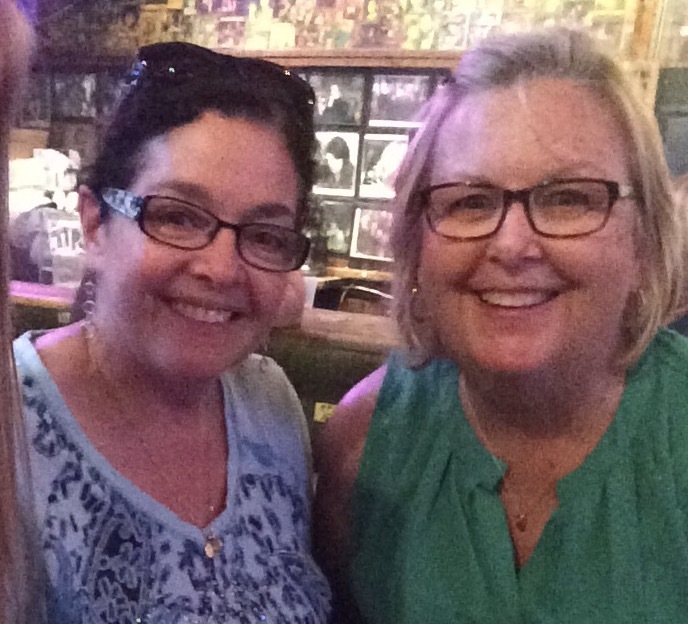 Two years ago, she interviewed for, and became, another intermediate literacy coach in our district, and I was thrilled to know our learning together would be continuing. Three years ago... the other face in the car Saturday morning was entering her second year as an intermediate coach as the rest of our literacy group was beginning at Year 1. In addition to her coaching assignment at her building, she also gives reading support to students. Time and time again, over the past 3 years, I have relied on her experience and skill sets to help me think through tricky reading situations in which the classroom teacher and I got stuck on "next steps" for specific students. And I have trusted, and tried to emulate, her reflective look at deconstructing standards with teachers to make them more manageable. These ladies have been colleagues that I treasure for their inquisitiveness, their knowledge, their reflective natures, their willingness to collaborate and share, and so much more. So, as I spent Saturday learning and talking and reflecting with these smart women, it comes as no surprise that with their "BEEP! BEEP!" in the parking lot that morning, they lifted me up once again. I will continue to savor our relationships as both colleagues and friends for as long as I can! **Author's note - These two coaches lifted me up Saturday, but for the past 3 years, all of these other incredible women have lifted me up as colleagues as well as we embraced literacy coaching together. And on a very personal note, they were all there for me during the year my parents died within seven months of each other. Thank you all so very much!! Words can never express how very grateful I am to be part of such an amazing, powerful, reflective, caring, and smart group of women. It has been a true blessing.